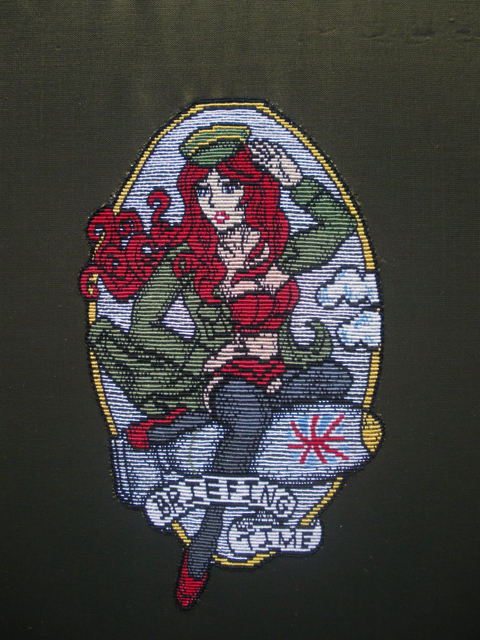 Posted on 11/6/2013, 6:00 am, by MrXStitch, under Guest Bloggers, Mr X Stitch. A few years back at The Festival of Quilts, one of the outstanding pieces, in my humble opinion, was this epic quilt of Billie Joe Armstrong from Green Day, by Charlotte Bailey. 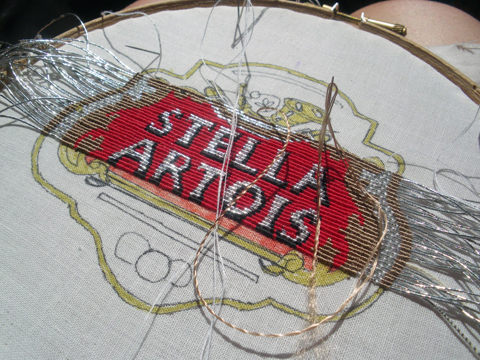 Charlotte is a Foundation Degree Graduate of the Royal School of Needlework and is using her top class skills to explore contemporary subject matter. The quilt just a taste of what she is capable of. Much like former Mr X Stitch columnist Curegreed, Charlotte takes the traditional skills taught at RSN and gives them a healthy dash of humour, or a modern day twist. 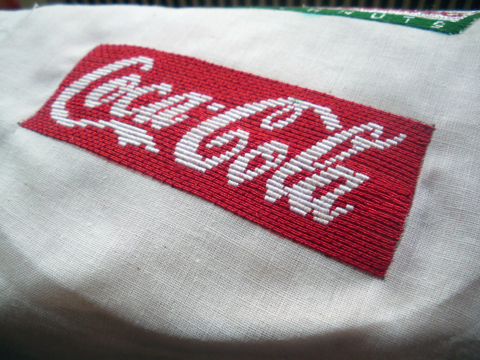 Recent pieces have used Goldwork Or Nue to great effect, producing high class corporate logos. 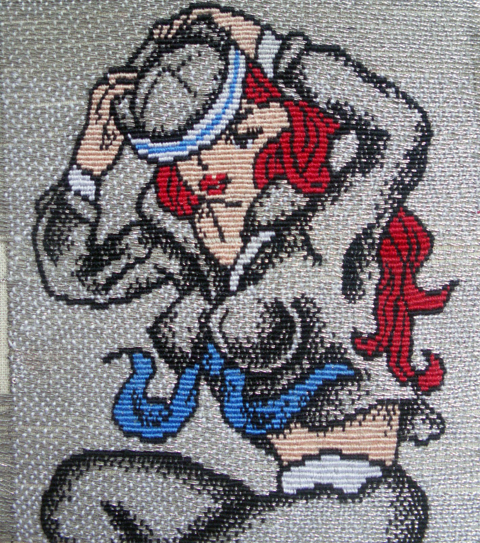 Her pin-up pieces have been similarly charming, combining stitched excellence with Sailor Jerry style icons. Charlotte is a terrific talent at the start of a very exciting path. I’m paying close attention and look forward to seeing what other works she produces and where her creative journey takes her. If you want to find out more about the RSN Degree course, visit their website. If you want to keep up with what Charlotte does next, subscribe to her blog.